The event will recall the circumstances which saw the nationalist gun-runner, who was later executed by the British for treason, set out to convince the liberal Protestant tradition in the fight against the anti-Home Rule movement. The rally, attended by more than 400 people drawn from the farming and business communities, was held in Ballymoney on October 24, 1913. 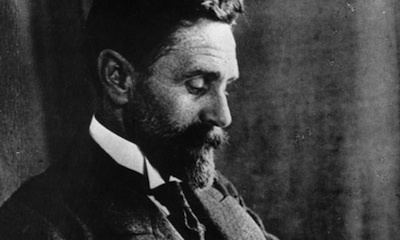 Correspondence from Casement reveals that he hoped to “light a fire” which would “set the Antrim hills ablaze” and “unite Presbyterian and Catholic farmers and townsmen at Ballymoney in a clear message to Ireland”. Casement and several other influential figures, including local liberal Presbyterian minister Rev JB Armour and Captain Jack White, addressed the ticket-only audience who at the end of the night concluded proceedings with a rousing rendition of ‘God Save The King’. There already existed within a section of the Protestant community a degree of support for Home Rule and the proposed establishment of a parliament in Dublin with jurisdiction over all 32 counties, and it was this that Casement wanted to harness. The more common unionist position was opposition to any loosening of the ties between Ireland and Britain and this had led to the setting up of the UVF and the signing by almost half a million people of the Ulster Covenant, led by unionist MP Edward Carson. The hope was that the Ballymoney meeting would be the first of many in Ulster but attempts to organise a similar gathering in nearby Cole-raine were met with resistance and the following month’s counter meeting of Ballymoney Unionists attracted greater numbers. Historian Alex Blair said a previous meeting in Belfast had been “a disaster” despite Winston Churchill having been in attendance but it was thought “if there was anywhere where a meeting of Protestant Home Rulers would be successful it was Ballymoney”. “Casement wanted to stress the lawlessness of Carsonism while White wanted it to be about the lovelessness of Carsonism and the Ballymoney group decided lawlessness was the most sensible option,” Mr Blair said. The historian will deliver a talk on the 100th anniversary of the original meeting, at the same time and in the same venue. The Big Meeting of Protestants in Favour of Home Rule is to be held in Ballymoney Town Hall at 8pm on October 24.